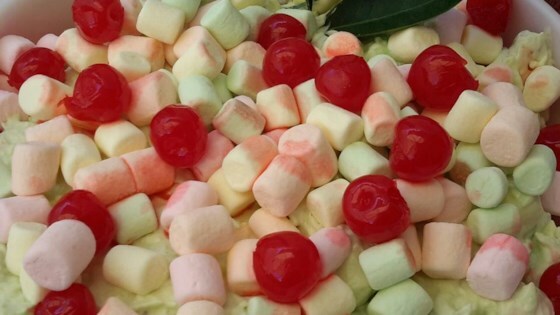 "My grandma used to make this salad at holiday time when I was little. It's an old recipe but still just as good." Mix milk and pudding mix in a bowl; stir cream cheese into pudding mixture. Fold whipped topping into pudding mixture. Mix marshmallows, pecans, and pineapple into pudding mixture. Refrigerate until flavors combine, at least 30 minutes. Pistachio pudding mix combines with whipped topping and lots of fruit. The only 2 things I did differently is I added the cool whip by folding it in to the cream cheese and milk and pudding. My husband will like this.